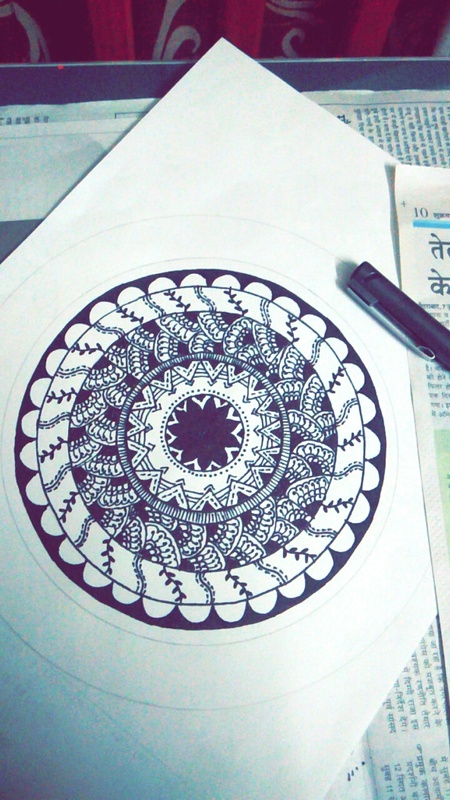 To a lot of doodling and drawing enthusiasts, mandalas are the circular patterns that talk symmetry, beauty and perceiving perfection in the face of some haphazard yet repetitive patterns. 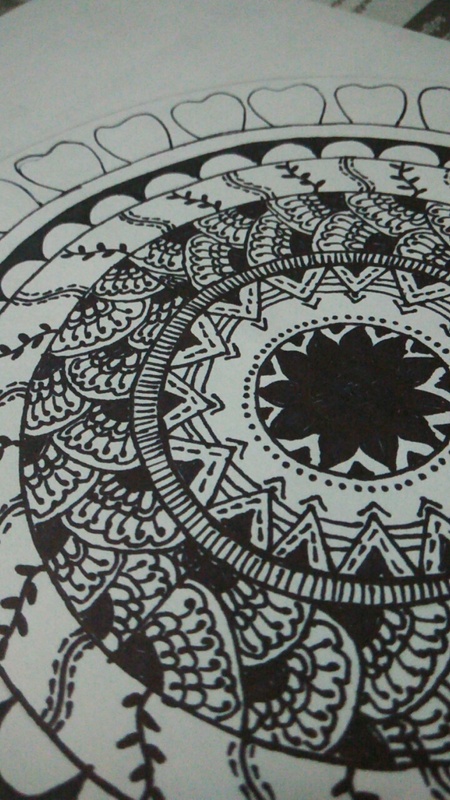 My fascination with mandala patterns began when I discovered them in colouring books for adults a couple of years back. The intricacy of the patterns and the way the patterns adapted to colour was what appealed to me more than anything. 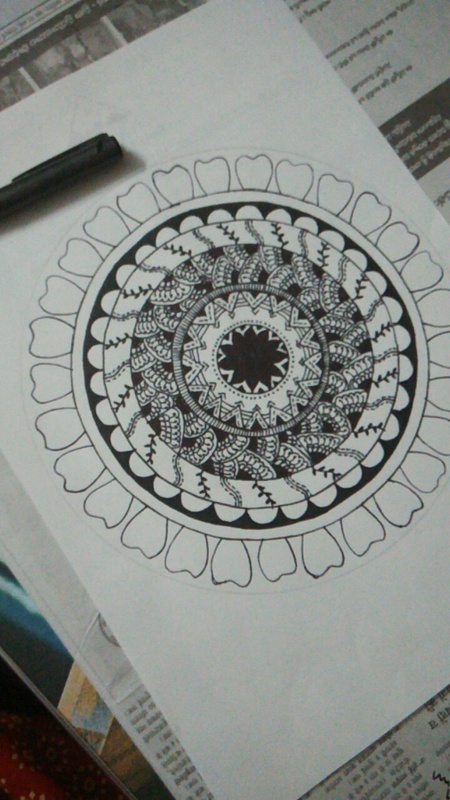 I then tried to get myself to draw a couple of mandalas when I could. Mind you, they look awfully simple but it is rather tricky to get the symmetry right. It was after many unsuccessful attempts, I found a nondescript video on YouTube that showed me this amazingly creative and easy way to draw beautiful mandalas and I would love to share it with you! 1) An OHP marker or a felt tip marker pen. 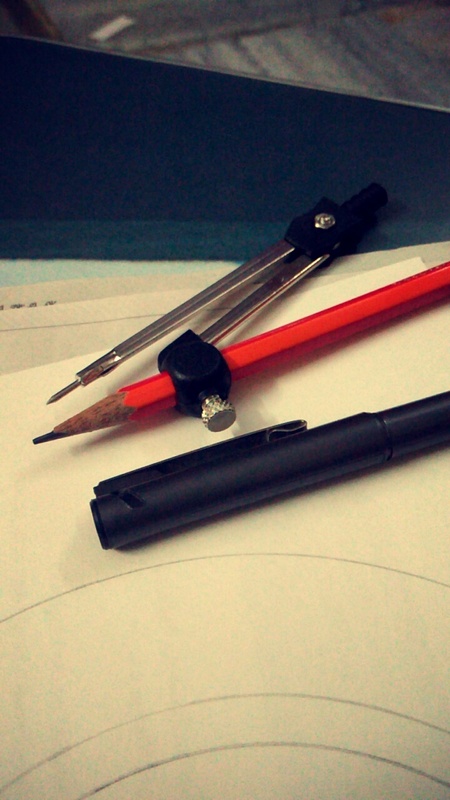 To be able to draw more intricate patterns, you can choose a pen with consistent writing abilities and a fine tip. 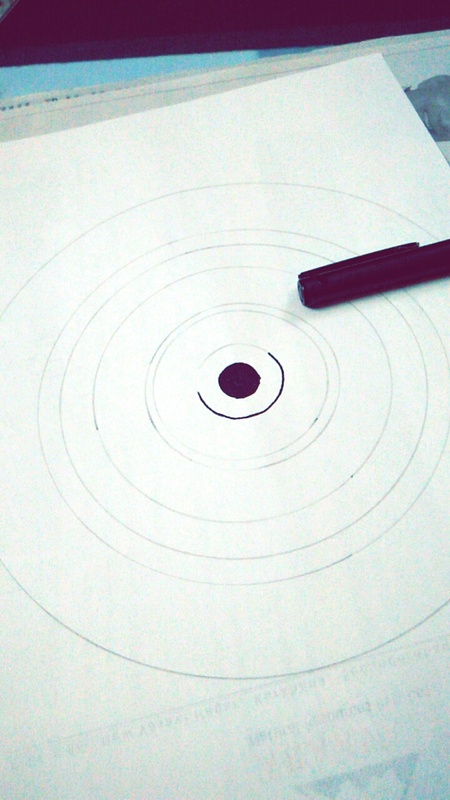 With the centre of the sheet as the reference point, draw circles starting with the smallest inner circle. The circles need not be of the same diametric ratio so you can really not worry about spacing and just draw the circles making sure the centre of your compass is a constant as shown in the picture below. Put old newspapers between the sheet you are working on and the surface so that you do not stain it as marker pens tend to bleed. Starting with the innermost circle and moving outwards, fill the circles with simple patterns. Do not worry about handling the pen to the paper. Simple repeating patterns like lines, leaves and dots can be used to fill in the spaces. Also remember about not being perfectly in sync. 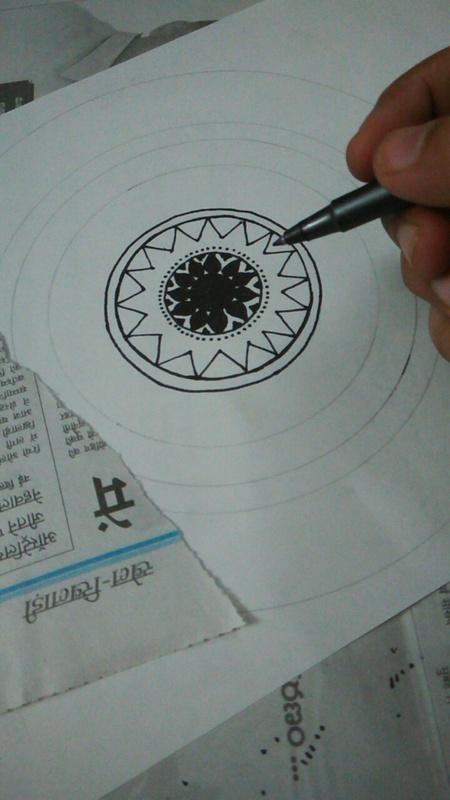 The beauty of a mandala lies in the fact that the completed pattern looks like perfection even if your fillings inside miss a line or a flower. If in between, you are missing inspiration and have hit a block, no need to fret at all. Simply fill it in with a solid black colour. The solid black against the white work sheet will create a striking impact. You can stretch the mandala as far out as you like it. Symmetry in the bigger picture! And here is one of mine! 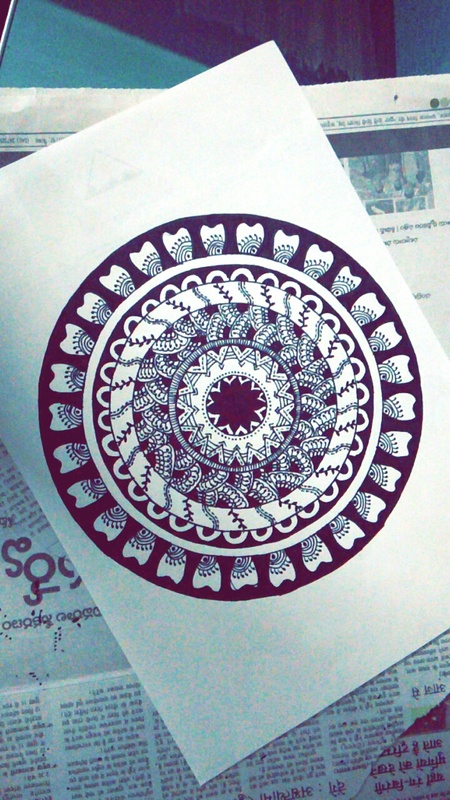 I am no good with the pen and I still managed to make this mandala following some simple tricks! I bet you can too. Next time, I am making one with colours and I will remember to share it too with you guys.